It can be extraordinarily difficult to design good boundaries when your toddler is stalling bedtime with the potty. When a behavior you’ve been nurturing and encouraging suddenly becomes perceived as a test of boundaries, it can be incredibly tough keeping calm and understanding how to react. There may be affiliate links in this article. Read my disclosure for more information. Really struggling with a defiant toddler who always seems to test these boundaries? Have difficulty remaining calm? We’ll talk you through some basics here, but you can also consider an awesome online course that can help you master difficult parenting situations. This course affirmed some of what I already thought I was doing right and helped me zero in on some things that I would never have known were working against me. When our little one started to consistently use the potty, we were thrilled. It was as if the stars had aligned and a ray of hope shone down upon the little pink training potty tucked against the wall. Our little Monkey was a bit of a slow starter with toilet training. She has always been a fast learner, but prefers to remain coy. When she first learned colors, we thought maybe she just wasn’t getting it. Then one day my husband observed with hushed agitation that she was studiously pointing out every color except the one we were asking her to find. With potty time, she played dumb and pointedly opted to act like she didn’t know what to do. Once we found the right incentives, she made some miraculous improvements overnight. If corn syrup entered into it, well, no one’s beyond reproach. Don’t get me wrong, as with any toddler (I assume), we had progression and regression. She identified how much easier it was to just use the diaper sometimes, and it took removing the diaper to keep her motivated to just go and sit. When that consistent behavior suddenly turns to a delay in bedtime for all the times she needs to go after laying down (we’ve been up to four in a night, one after the other), it can be very tough to know what to do. It is hard not to assume your toddler is using toilet training to delay bedtime. We’ll talk through it a little more, but I would recommend that you should never discourage your child from using the toilet, particularly if you’re still entrenched in training. It might be hard to be patient sometimes, but demanding that your child stay in bed, even if that means using the diaper, will send an incredibly mixed message and even set your child back in his or her progress. Whether you’re authoritative, authoritarian, permissive or uninvolved, your child will have trouble with boundaries. Without getting too far into the weeds, I’ll say that toddlers don’t just want boundaries–they need them. They test and experiment at the outskirts of their known universe, dangling their toes in the unknown and watching like stinky little scientist-hawks to gauge reactions and memorize outcomes. The reason for this is that they are relying on you to establish clear boundaries and help them understand how to stay within them. Your toddler is, for all intents and purposes, sociopathic. That’s not to say that they want to disobey. They just don’t know where that line between acceptable and unacceptable behavior lies until you tell them, show them, and remind them. If you’ve raised your little one according to a standard ritual, bedtime boundaries probably came naturally with the territory. Even if you didn’t notice or didn’t intend to establish them. If it’s time to start settling down, you’ll probably start with pajamas. It might take some prompting but a few reminders that we won’t have story time if we can’t get our pajamas on quickly will drive your toddler inside the circle of understanding. If pajamas are done, it’s time for stories. We have to sit quietly while daddy reads, or story time will be over and it will be time for bed. Bit by bit, these small nudges and hints of natural consequences underpin a strong set of guidelines that add to a great web being wound in your toddler’s developing brain. If you don’t already have a night time ritual, create one. Nothing makes bedtime harder than not having a consistent plan to follow. 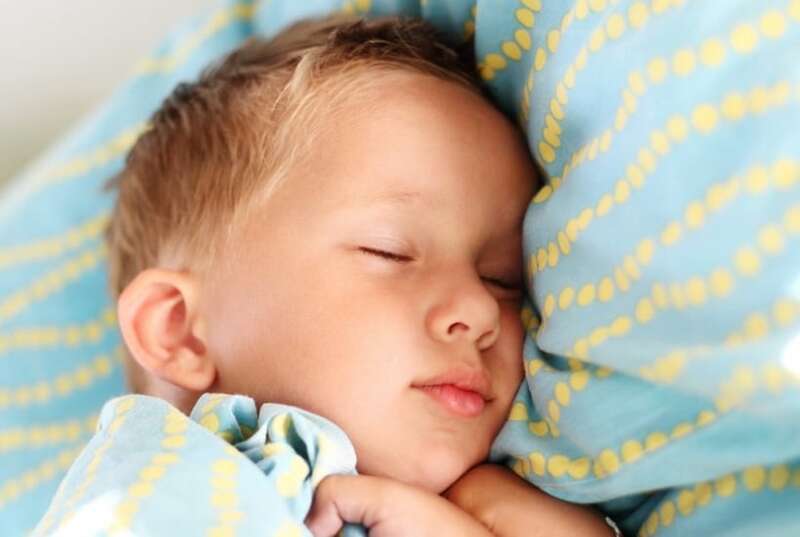 If your toddler has trouble with bedtime, it’s worth critically inspecting how consistent your process is night after night, and how well established the boundaries are on what is and isn’t appropriate. If you don’t know, your little bundle of scientifically methodical defiance certainly doesn’t. If you want good bed time behaviors, it will be necessary to establish what you think is appropriate. Does your littles sleep with a stuffed animal? Four favorites plucked seemingly at random from the massive pile that lives at the foot of her bed? Is it OK if the little monster has a small drink before bed? Does he or she get two songs, or more on request? How many hugs should we give before it crosses the line into a stalling tactic? Be sure not only to discuss these things, but to support your partner in them. If either one of you is not prepared to maintain the lines of these boundaries, they aren’t boundaries anymore, but a droopy little fence that makes you or your partner a little more furious every time a slat falls out. Your toddler will see it. She’s hungry for it. Even if she isn’t watching, she knows. A moment’s hesitation, a reluctant “OK, just one more”, and the gate blows wide open. It’s not that your littles has ill intent. He or she is trying to understand their world and the amount of control they have over it. If they aren’t sure, they will become uncomfortable until they test and better understand their place within that boundary. And I’m here to tell you: nothing is so frustrating or undermining as a partner who isn’t on the same page in the moment. McCartney probably wrote the lyrics “You say yes, I say no, you say stop, you say go go go” immediately after putting a toddler to bed over the course of an hour and a half. This one gets a little stickier. Hopefully not literally, but that will probably happen too. The reality is that any behavior that lands your monster on the potty is probably more help than harm. They will be using this particular life skill for the rest of their… well, life. The sooner junior can climb up, get it done, and clean themselves, the better. I think we can all agree there. Regardless, there are boundaries to be had in all things. You can’t have your littles sticking their fingers in their mouth, you can’t have them unwinding the toilet paper every time they go. Our hands definitely don’t belong in the toilet, especially when we’ve already made some plops. You have some creative license here. There’s not any one right way to manage toilet time. If you’re having trouble establishing a routine (and they really do help, if you’re having trouble potty training), consider a potty sticker chart like the one below. Monkey took to a regime of her own pretty quickly. She and my husband tend to fall into natural rhythms when left to their own devices, with some exceptions. “Do you want it open *this* much?” He indicates with a thumb and forefinger. He’ll then give her a little time and autonomy. A few quick “Are you pooping?” and a couple of “I just started” will be followed up with some specific time constraints. Most of the time, unless she’s really on point (ate a lot of fruit), the action doesn’t start until time-frames are involved. 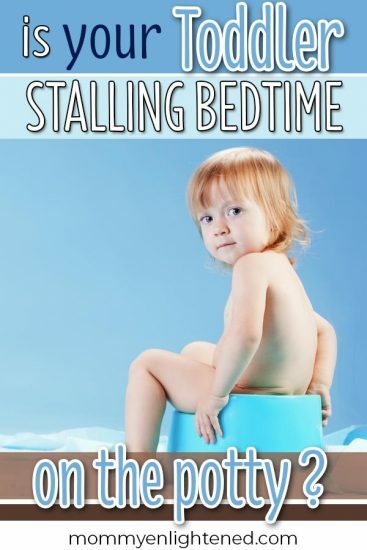 IS YOUR TODDLER STALLING BEDTIME BY USING THE POTTY? My partner and I have an ongoing debate or disagreement on this point, which is OK. Always remember that it’s OK to disagree, as long as it doesn’t become combative or disparaging. He thinks she’s stalling or screwing around for most of this time. He’s incredibly big on accountability, and the lack of accountability a toddler has can be a constant source of frustration for him. I think she’s literally taking that long to get herself to the finish. Some people just take that long, and that’s OK. Which of us is right? We will never know. The best you can do is to provide constant feedback and encouragement to your littles and to each other. If anything can signal that potty is just a stalling tactic, it will likely be that nothing ends up in the toilet after all is said and done. I think that even a little output is an indicator that Monkey is really responding to her body’s cues. You have to remember that these sensations and the control your littles is learning to use are all new. I think that the moment she lays down and comes to a state of mindfulness (or as close as a toddler can get to it), she becomes more alert to the pressure signals. The result is that the moment she’s in bed, she needs to go. Regardless, those signals should have an output. If you stay close by and hear nothing and afterward see and smell nothing, it is likely your child either has a urinary tract infection, is stopped up, or is stalling. My husband and I are big fans of natural consequences in lieu of artificial ones. Things like timeout and spanking have always been off the table. The challenge with potty time is that there is really only one natural consequence, and it’s not just impractical but dangerous for your child and your own sanity. That is to say, if your child does not make good use of their potty time and misses their chance, it will be necessary for them to soil their nighttime diaper. This isn’t the end of the world if it’s just pee. The alternative, though, can be messy and unhealthy. For this reason, if we have any reason to believe there’s still something coming (based on gas, time since last deposit, etc. ), we will encourage Monkey to take as much time as she needs. Conversely, if it is very obvious that she’s just stringing us along, it is necessary to rope in related but indirect natural consequences like losing stories or songs because of the amount of time we’re spending on the potty. The result, of course, is that Monkey has re-engineered the routine to support her own control over the flow of the night. She now waits until stories and songs and hugs and kisses are all delivered and we are literally walking out the bedroom door to announce that she needs to go potty. Parents always talk about how smart they hope their children are. Well, great job folks. Your child is a diabolical mastermind, dancing your limbs upon unseen strings to the tune of her malevolent desires. Seriously, it’s great if your child is this smart, even if it’s difficult to hand over this little bit of control. As much as it infuriates my husband, it’s actually rather encouraging for her future when seen from outside. Lately, I’ve taken to using her capacity for forward thinking to layer in further consequences that might naturally follow, even if they are a bit of a bluff. If you take the time to understand how and when your toddler is using toilet training to delay bedtime and use some of these principles, you will give your child confidence to work through these conflicting priorities and ease your own tension at the same time. 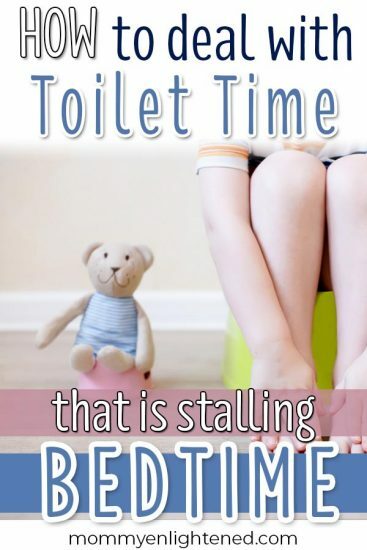 A child doesn’t put off bedtime by using the toilet without reason, and great communication and calm minds will always prevail to teach your toddler good nighttime behaviors. We’d love to hear your thoughts! Share your comments below.